In the warming days of June 2014, a new community garden will come to life in Triangle Park (previously known as Eddie Maestas Park). Located at Park Avenue and Lawrence Street – and bordered on all three sides by major intersections and busy streets – this garden will be in the midst of a sizable population of Denverites experiencing homelessness, as well as related service providers including The Saint Francis Center (SFC), the Cornerstone Residences at The Saint Francis Center, The Denver Rescue Mission, The Samaritan House and Colorado Coalition for the Homeless. Each of these organizations works with individuals currently experiencing homelessness or those who are currently transitioning or have previously transitioned out of homelessness. Luehrs’ sentiment is echoed throughout the neighborhood; it is hoped that the community garden will be a place for both physical and social change. The new community garden will serve many in the neighborhood who are food insecure: there will be plots for individuals and families as well as areas that are dedicated to the surrounding organizations and their ongoing work with their clients. The SFC plans, with the help of clients, to grow food to share with others both in their homes and in local shelters. It will be a priority that this community garden be a welcoming and inclusive space for all, with a significant number of the garden plots available for cultivation and care by individuals currently experiencing homelessness. The homeless will see the greatest benefit from the changes to the park because in a very real sense the streets, sidewalks and parks are their home. Ensuring that these spaces are safe and nurturing is essential to helping those who are experiencing homelessness. We are not powerless, what we say and do empowers us, it does matter. What ever it is we desire from life, we must be willing to invest into life. Everything is so green on the farm already. In my six years on the farm I have never seen it so green. At the end of last season there was a lot of sadness after the floods and after having to end the season early. After a long winter of conversations (mostly with ourselves) about why we farm and the wherewithal it takes to roll with Mother Nature’s punches, we were reminded that it can be good to break out of habits and problem solving is good and creativity comes out of (perceived) devastation. Spring has arrived. The most hopeful part of the year, where all our dreams seem attainable and the soil smells wonderful and the sun has returned to warm the back of our necks and all is right in the world. The seeds packets have arrived and the team is fired up and ready to grow some thangs. Everything is so green (did I mention that?) and I suppose we should offer a little bow to the 500 year floods for making our cover crop come in a little thicker and the fall planted garlic grow in a little taller. Hakuna Matata? Inspired to transform our perspective of what is important in community we’ve decided to put more emphasis on perennial foods and plants. We have always had perennial foods and plants at DeLaney , but this year we are honoring them in a more visible way. Moving all of our perennial plants to one location closer to the front of the farm where these beauties can be seen by passers by on a walk and are a reminder of the beauty and resilience of growing food, flowers and medicinal plants. Flowers! Edible flowers, medicinal flowers, flowers for your coffee table or kitchen window. We will grow flowers… as well as herbs, sunchokes and maybe some walking “wild” onions. Hopefully you’ll come visit us and spend some time in this “becoming” field. Every year at DeLaney Community Farm we hire a brand new staff of aspiring farmers as interns. This year we have Ben Pfeffer, Chris Vincent, Brittany Stanfield and Jake Gest. These folks are already showing themselves to be hard working, witty and invested in this little farm. If you run into them on the farm this year ask them what’s new at DeLaney and maybe bring them a popsicle. Popsicles are a farmer’s best friend. As farmers we work to be more productive and efficient every year and grow some experimental things to see how they do in our climate and how our community received them. One of our experiments last year was sweet potatoes. This plant is not only beautiful in the fields (or pots or hanging baskets) but is such an abundant producer that we’ve decided to include it in our production this year as an offered food for our Community farm members. 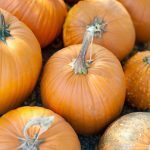 They store all winter and are a great addition to a locavore winter diet. Needless to say, we’re excited. Come visit us! Take a class or a tour or spend the day in the fields. Denver Urban Gardens envisions a network of closely-knit community gardens whose gardeners regularly engage with and support one another. The purpose of the Garden Leader Round Tables is to provide an opportunity for DUG’s network of over 300 volunteer community garden leaders to connect on a more intimate level. This program brings together a small group (10-15 leaders or steering committee members) around a particular topic of their interest or expertise, to collaborate in finding solutions to common problems that exist across the larger DUG network of community gardens. Round Tables provide garden leaders an opportunity to not only share expertise and ideas, but to engage with other community leaders who are experiencing the same challenges and joys that come with managing gardeners. Consistent with DUG values, these take place over a shared potluck meal. We’ve long known that gardeners are the best cooks! Thank you to all of the attendees who have come out to share their wisdom and collaborate with other garden leaders. We are excited to continue this program and provide more opportunities for garden leaders to connect with one another across the network. Learn more about 2014’s Garden Leader Round Tables, and how to register, at www.dug.org/gl. Do you have an idea for a Garden Leader Round Table topic? We’d love to hear it! Please contact Emily Frost at emily@dug.org or 303.292.9900. Kurtis Keele has poured a lot into the Lowell Street Community Garden. As garden leader for five years and neighbor to the garden for 20, he has been an integral part of the many changes that took place in this space, and the garden in turn has become a meaningful part of Kurtis’s life. When he was considering a new vehicle, he purchased a truck- it would be useful for the garden. He regularly buys tools to distribute to gardeners. He recently invested in a rototiller, which he claims is for himself, but we both know it will spend its lifetime in the garden. But Kurtis’ relationship with Lowell Street Community Garden extends far beyond his generous contributions of garden amenities. I recently sat down with Kurtis, over some authentic Latin cuisine at my favorite hole-in-the-wall spot on Federal Boulevard. Over guac and mole, I explored the man, the myth, and the garden. Here is what I learned. Though Lowell Street Community Garden is one of seven gardens across the DUG network located on Denver Parks and Recreation land, from the curb it looks less like a park and more like just another yard on the street in this predominantly Spanish-speaking neighborhood. In fact, many neighbors believed for a time that it was Kurtis’ yard, since he was consistently working in the garden every time someone passed by. They asked when he was going to build a house! And then Kurtis would invite them in to take a plot. The vast majority of the plots have always been and still are utilized by people whom live in the neighborhood, if not on that very street, as he does. His community outreach consisted primarily of the tried and true method of “showing up.” Kurtis was nearly always in the garden, and nearly every current gardener came to the garden by way of walking by and asking Kurtis about it. Another way that families got involved was through their curious kids, who made friends with “Grandpa” as he became known. When the garden first started, there was a vacant lot next door. Kurtis worked in the garden with his scooter nearby, which captured the interest of the many young boys in the neighborhood. With (alleged) parental permission, these young kids would come to the garden to drive Kurtis’ scooter all over the vacant lot. And, one by one, their families got to know “grandpa” as well, and took up plots at Lowell Street. The garden has become a social hub, a third space for neighbors in the evenings during the growing season. “It’s a real social thing with all the 40- to 50-year-old men. They go out there and hang out in the evening, and water, and talk, and smoke, and drink, and you know, socialize. And all the kids in the neighborhood have grown up, and now they’re having kids.” But they stay rooted here in this neighborhood, expanding to a new plot for their own young families. When it occurred to Kurtis that he could lose the land that he and the other gardeners had unwittingly guerilla gardened, he reached out to DUG. Fortunately, DUG was able to work with the landowners to negotiate new boundaries for Lowell Street Community Garden that encompassed an approved expansion plan. Kurtis could rest easy knowing that the additional plots were there to stay. “And that’s how I got stuck with it,” he says of his leadership position. Just learning different foods is my favorite part. And getting out of the house. Getting people involved who you see walk by and look. Kurtis Keele lives half a block from the Lowell Street Community Garden. He has participated in both the Master Community Gardener and Master Composter Training Programs. Kurtis shakes things up by taking on new hobbies every 5-10 years: once an avid skier, he forayed into 4-wheeling, and then explored scuba diving. His most recent passion: gardening, especially composting and rototilling. We are so grateful! Community building, volunteerism and education are at the heart of each school-based community garden. These intentionally located gardens provide a venue for community building between the neighbors and school community members that coexist within a neighborhood, but seldom collaborate on mutually-beneficial projects. In these gardens, neighbors grow food for themselves and teachers, parents and students grow food for taste education, farmers markets and the cafeteria, all the while exploring the multidisciplinary learning opportunities that the garden has to offer. Central to the sustainability of a garden on school grounds are the community gardeners, who are often the willing caretakers of the school plots over the summer, as well as the the volunteers, who support the school’s garden-based educational efforts. Of equal importance are the students’ participation in gardening and programming and the emphasis on education in maintaining the relevancy of a community garden on school grounds. Interest in this model has grown steadily. A third of DUG’s gardens are now located on school property, across four school districts. For three years Denver Urban Gardens engaged in a participatory research study, Gardens for Growing Healthy Communities, with the Colorado School of Public Health to learn about the health and social benefits of community gardening. In the process of engaging participants, through focus groups and surveys, the idea to further build bridges between community members and schools at DUG’s school-based community gardens became obvious. On one hand, there are teachers and students who want to engage with the garden at their school to learn about science, nutrition, and life skills, but teachers need support to make this possible. On the other hand, there are community members who have a wealth of knowledge and experience, and may be retired or otherwise have the time and capacity to offer their undertutilized skills to their community. This realization informed the concept for an initiative called Connecting Generations that would engage older adults as mentors to utilize their extensive life skills to support teachers, students and school-based community garden programs. In 2008, we recruited our first cohort of volunteer mentors for the Connecting Generations Program. Since then, we’ve worked with over 70 mentors at nine schools. These mentors are retired teachers, principals, librarians, healthcare professionals, writers and gardeners, among many professions. While the group of mentors is primarily made up of older adults, we’ve also worked with students, particularly from local nutrition and dietetics programs. Individually and collectively, the mentors have much to offer to young people, and the group is truly intergenerational. Mentors may be community gardeners, grandparents, or neighbors, all with an interest in supporting the development of young people by learning in gardens. Mentors initiate, facilitate and support garden-based programming at a number of DUG’s school-based community gardens. The type of programming varies at each school, depending on their unique goals. Most leaders focus their energy on afterschool garden clubs, the Garden to Cafeteria Program, Youth Farmers’ Markets and classroom learning. Connecting Generations matches volunteers with a school site and program that fits their skill set and personality with the needs of the school. Ideally the school is close to or within the volunteer’s neighborhood. Some mentors are comfortable taking a lead role from the start, facilitating programming and recruiting a team of volunteers to work together. Others have more subtle ways of providing support; preparing snack or guiding small groups of students as they work through various garden and nutrition-based activities. The garden can be a very gratifying place to work with young people. Janet Johnston, Connecting Generations mentor, says, “It is rewarding to help children and families learn how to garden. The excitement and pride seen on each child’s face at time of harvest is what makes participating in the Connecting Generations Program so worthwhile for me.” Janet and Pamela volunteer as a team at Maxwell Elementary School, co-teaching nutrition and gardening lessons to a 5th grade classroom throughout the school year. As the growing season approaches, we are seeking mentors to join our efforts in DUG’s school-based community gardens. To learn more and get involved, contact Jessica at 303.292.9900 or Jessica@dug.org. In late March, the Denver Post Editorial Board published an editorial titled Let Denver residents sell food from their homes. Denver Urban Gardens (DUG) strongly agrees. DUG is excited about the proposed amendment to Denver’s Zoning Code that would create a new home occupation and allow sales of fresh produce and cottage foods (as defined by the Colorado Cottage Foods Act) from one’s residence. For almost thirty years DUG has been working to build community, increase food security, and promote economic development; we see residential sales as another avenue to accomplish these objectives. In practical terms, this change means that Denver residents would able to grow food in their yard, their neighbors’ yards, or in an urban garden, and then sell it from their home address. Raw fruits and vegetables, honey, eggs, and certain low-risk prepared foods would be allowed. In all cases, the person selling the food must be the same person who grew or prepared it. We hope, with continued leadership from its sponsors on City Council – Robin Kniech, Susan Shepherd and Albus Brooks – that this amendment to the zoning code will be passed by this summer. Many DUG community gardens already participate in the on-site selling of produce in venues such as youth farmers’ markets and summer markets, whereby proceeds from produce sales are in turn reinvested back into the community garden and/or its associated programs. With this proposed change to the zoning code, we are looking forward to exploring further ways in which this can benefit our community gardens in Denver. To learn more about the proposed amendment to the Zoning Code and the Colorado Cottage Foods Act, click here. In Colorado, more than one in four working families do not have enough food to meet their basic needs. It’s a stunning and heartbreaking statistic, particularly given the recent cultural emphasis on food that is fresh and local. Even those with access to enough food may not have access to food that is nutritious. In the City and County of Denver alone, more than 4,000 households both do not have a car, and live in an area without a full service grocery store, which means their ability to obtain fresh food is severely limited. As a community, how can we ensure that each one of our neighbors has reliable and affordable access to food that is nutritious? There are a host of national and local organizations working in partnership with government agencies and community members on a variety of strategies to relieve hunger and increase healthy food access in Metro Denver. A multi-faceted approach is key, in order to reach people in the ways that will be most effective for their particular community. Policy shifts, system-wide strategies, and collaboration among service providers are essential in providing services and solutions that are targeted and sustainable. Our friends at Hunger Free Colorado do an impressive job of acting as a hub for information, services, and resources relating to hunger in our state, and we encourage you to visit their site for an in-depth look into the challenges and current efforts around this issue. Growing for Project Angel Heart at the Rosedale Community GardenCommunity gardens are one piece of the food security puzzle, and can be a powerful and community driven tool for increasing healthy food options for many people, including those who aren’t active gardeners. In a recent survey, DUG community gardeners reported that on average, each community garden plot served four active community gardeners. Each plot also reportedly provided produce for an average of eight individuals who were not active gardeners. That means that DUG’s entire network of 135 community gardens serves 12,000 active community gardeners, and an additional 24,000 people who receive fresh produce. Because the great majority of DUG community gardens are located in neighborhoods with predominantly very low, low, or moderate income households, gardens serve as an important source of food for residents at risk for food insecurity. And the impact is a big one: data from our annual weighing project suggest that DUG gardeners are collectively growing more than 221 tons of food each growing season. We also know that on average, DUG community gardeners donate approximately 10% of all they produce they grow, and that in 2012 and 2013, community gardens in our network coordinated produce donation programs for at least 41 different food pantries and food assistance organizations. Examples include the Rosedale Community Garden, where gardeners have been making weekly collective donations to Project Angel Heart for years, and the West Washington Park Community Garden, which grew over 3,000 pounds of fresh, organic produce for Denver Urban Ministries (DenUm) in 2013 alone. These community partnerships don’t only improve food security for people in-need, they strengthen connections between community gardeners, and empower people of all ages and backgrounds to take charge of healthy food access in their own neighborhood. DUG community gardeners interested in getting a produce donation program going in their garden should contact Emily Frost at emily@dug.org, or should plan on attending our June Garden Leader Round Table, which will focus on exactly this topic! 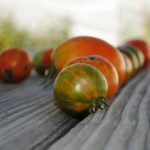 Home gardeners interested in donating directly to food pantries in their neighborhoods can connect to those pantries via the Produce for Pantries partnership. Each January, DUG distributes applications for our Free Seeds and Transplants Program to in-need individuals, families, schools, churches, and senior centers throughout Metro Denver. 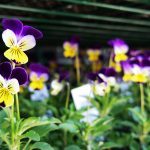 In early February, we will collect over 3,000 applications from those same centers, and enter the information into a database so that we can order vegetable seeds and transplants to be delivered for spring planting. We are seeking volunteers to assist with data entry for this program! For each data entry shift listed below, we can take up to seven volunteers. All shifts are full- thank you to our wonderful volunteers! Volunteers interested in this opportunity should be detail oriented, comfortable using Microsoft Excel and database programs such as FileMaker, and not mind repetitive data entry tasks. You are welcome to bring your headphones if you want to listen to music. Because we will be signing up as many volunteers as we have spare computers, we ask that you only sign up for this opportunity if you are absolutely sure you can make it. If you have any questions about this volunteer opportunity, feel free to contact us here! To learn more about the Free Seeds and Transplants Program, click here. 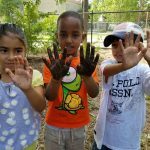 Help Fairview School Community Garden prepare their community beds for winter by digging in leaves, chopping up material for the compost pile, and mixing that material into the existing pile. This opportunity will take place on Monday, December 2nd from 10:30am – 1:30pm (rescheduled due to weather) at 2715 W 11th Avenue (near 11th and Decatur) and you can sign up to be a part of this work day here. Join Cheltenham School Community Garden for a work day on Saturday, December 7th from 1:30 – 4:00pm! The garden is located at 1580 Julian Street (near Federal and Colfax) and will be focused on putting the garden to bed for the season and will include turning soil and weeding. Sign up for this opportunity here (work day is full). Lowry Family Community Garden is having a work day on Sunday, December 8th from 12:00 – 3:00pm. Help them clean up their garden so they can have a fresh start in 2014! The garden is located at 550 Alton Way (near Lowry & Dayton) and you can sign up for this opportunity here work day cancelled due to weather. We ask volunteers to dress appropriately for the weather, including closed toed shoes and gloves, and bring water. Questions about volunteering? Contact us here! Looking for an opportunity for your group to get their hands dirty in a community garden? You can now find our current group opportunities, and their details, listed on our new Volunteer Group Work Day page, found here. Don’t see something that fits the bill? You can fill out a request for your group here. Denver Urban Gardens receives a large number of volunteer inquiries. While we wish we could accommodate all volunteers, we are not always able to satisfy every request. If you need immediate assistance, or have questions regarding a specific volunteer opportunity, please contact the Denver Urban Gardens office at 303.292.9900.